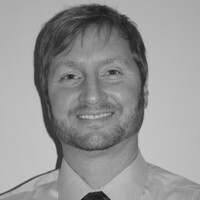 Alliance Pharma has hired Dr. Ryan Klein as Director of Business Development. Dr. Klein has more than 20 years of experience in the pharmaceutical industry developing both oral and topical dosage forms for a range of indications. Dr. Klein began his career at GlaxoSmithKline, where he was an integral component of their drug discovery organization providing drug metabolism and pharmacokinetic expertise to project teams. He was instrumental in the development and implementation of a number of in vitro and in situ ADME models to assess drug absorption, metabolism, and disposition. After leaving GSK, Dr. Klein joined Tergus Pharma, a CRO providing topical R&D services to the pharmaceutical industry. At Tergus, Ryan filled various roles including leadership positions as the Head of Research & Development and Head of In Vitro Sciences, as the company grew from five employees to approximately seventy five over a seven year period. Dr. Klein’s areas of expertise include drug permeability, absorption and metabolism in the gastrointestinal tract, liver and skin, intestinal drug transporters, and the anatomy, physiology, and pharmacology of the skin and GI tract. He also has a strong analytical background with extensive experience developing and validating in vitro release testing methods for semi-solid dosage forms, as well as developing and validating HPLC assay and impurities methods. Leveraging Dr. Klein’s experience on the client side allows Alliance Pharma to collaborate on a higher level with Sponsors, using his in-depth knowledge and vast experience to align the best team of scientists to support each project. Ryan earned his bachelor’s degree in Chemistry from Wake Forest University in Winston-Salem, North Carolina, and earned his doctoral degree in Pharmaceutical Sciences from the School of Pharmacy at the University of North Carolina at Chapel Hill. Ryan has authored & co-authored numerous scientific publications and patents, and serves as a member of several pharmaceutical research focus and discussion groups.